On today’s program we taunt Jeremiah Wiggins, the “Human” Ambassador to the Faerie Courts. All ribbing aside, Wiggins is an amazing gentleman. 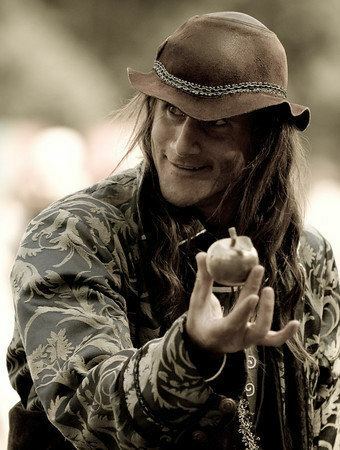 Full of mystery, history, and magic, you can find him wandering around the grounds of many a Renaissance and Faerie Festival with his giant mushroom rekindling the magic in young and old alike. It was he who was instrumental in arranging the terms of Gandersnitch’s asylum among the Faeries, and he who introduced us Goblins to a more civilized way of playing elf chess. Sure we will sabotage him at every angle, but that’s just what Goblins do. He is truly a man of the people… Or well, he was. Whatever you do, don’t mention the tail.